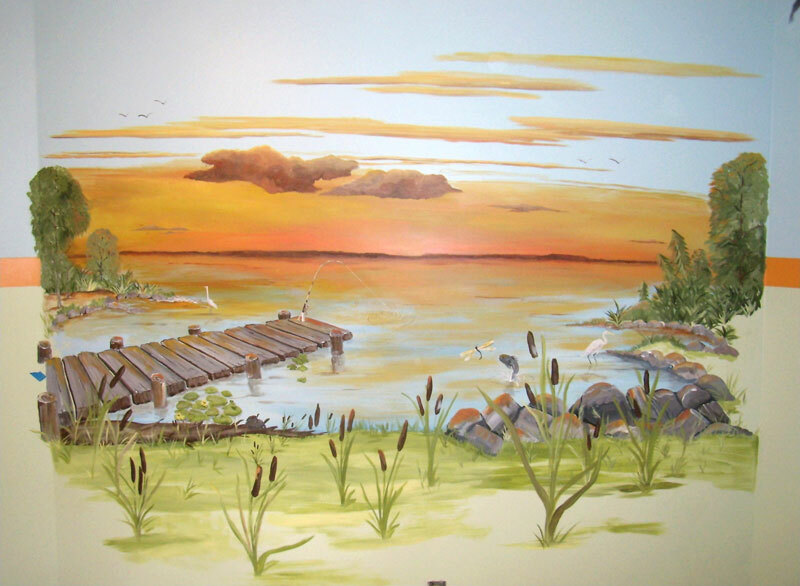 This 7' x 5' wall mural is in a lake front home where the residents love to boat, fish, and watch the sunset over their pier. 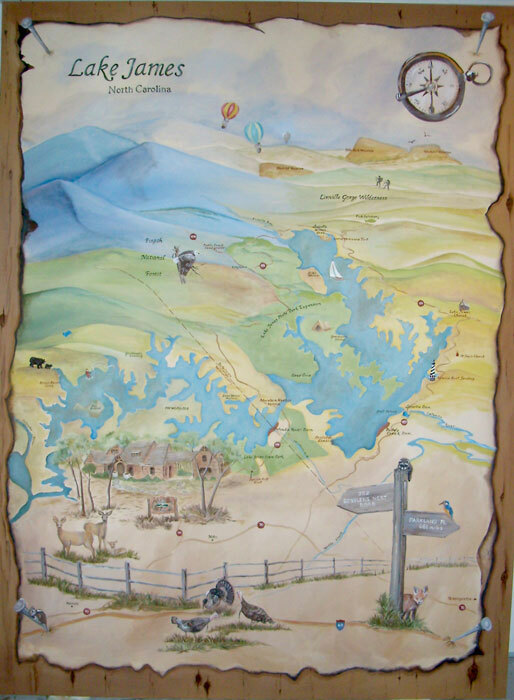 The owner of a log cabin home on a lake wanted and old map of the lake so he commissioned CK Paints to paint this 6' x 8' gallery wrapped canvas depicting the key areas and points of interest, along with roads, coves, and his home. 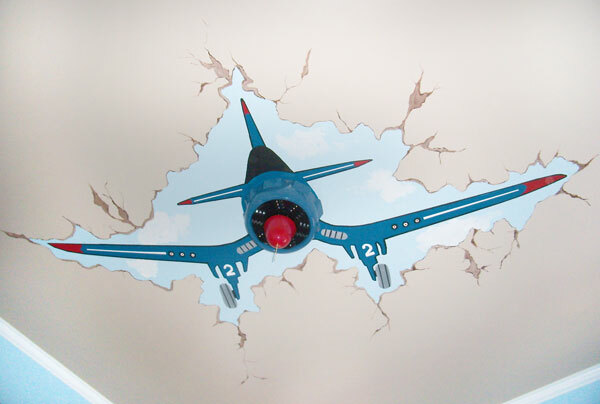 The painting is done to simulate and old map on parchment with burned edges. 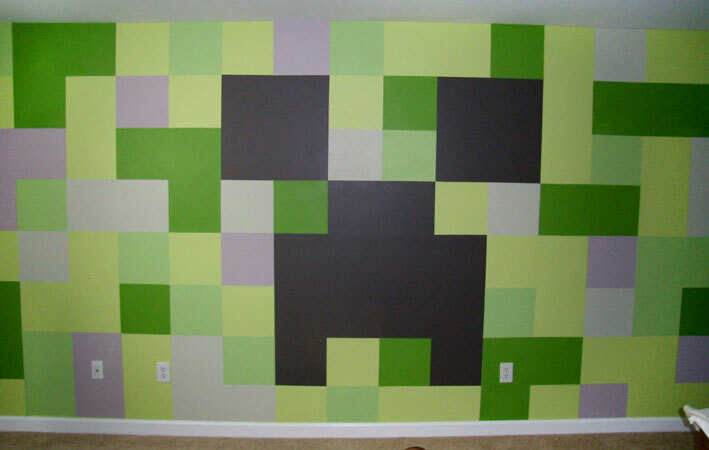 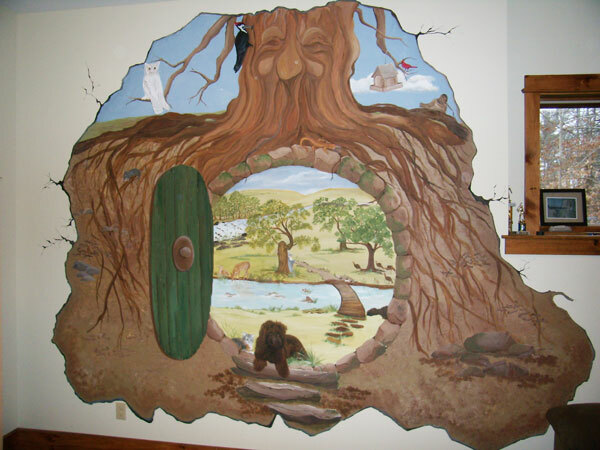 A perfect tree for this basement room on a sloping lot where some of the room is underground. 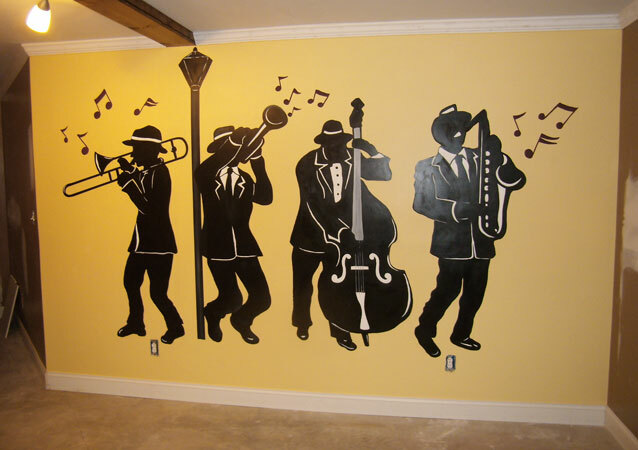 Silhouetted jazz musicians are the focal point for this downstairs recreation room.